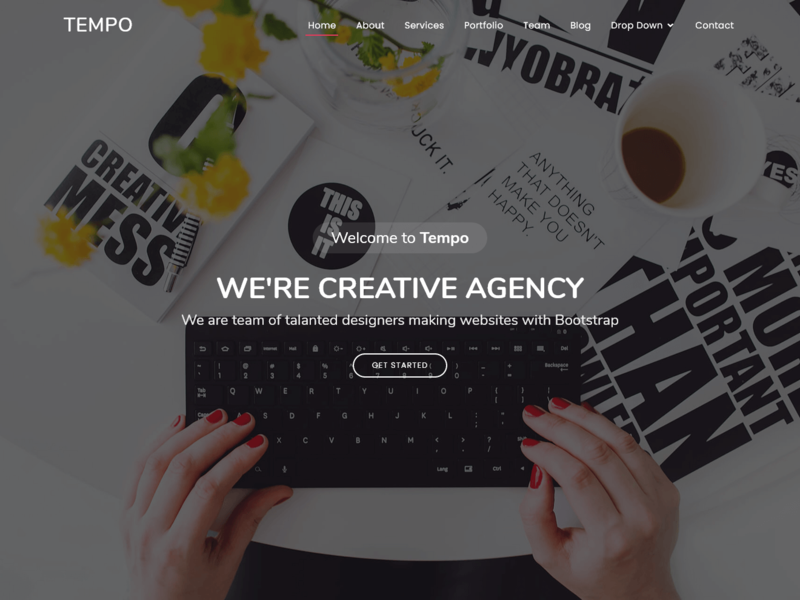 Tempo is a modern one page, free bootstrap theme. It is fully responsive and looks great in all resolutions and all devices. This free bootstrap template contain font awesome, beautiful color schemes and easy customize for users. This free bootstrap html5 template is packed with lot of great features like google fonts, image slider, bootstrap framework and much more. Take a look at Tempo then you will like it and perfect for your next project.